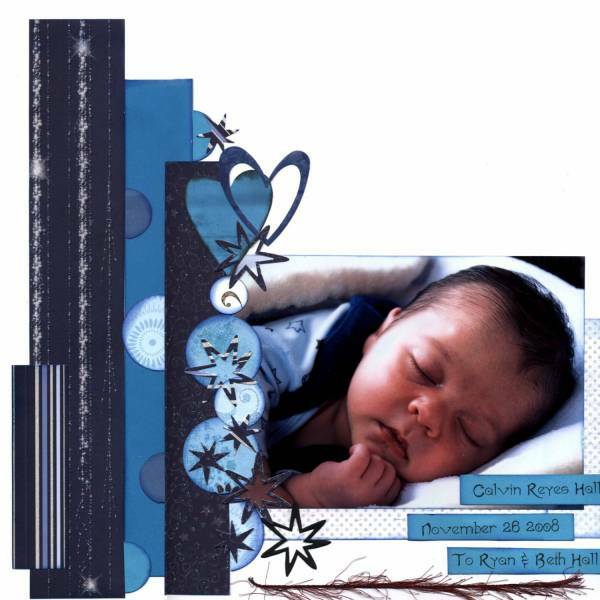 I used Xmas sketch 2-Merry Xmas by scrapcat. Used AED -So This is Christmas:Royal Christmas Glitter,Royal Christmas Glitter Lights, Royal Christmas Glitter swirls. Random scraps for circles and stars and some light blue CS & a bit of fibre. This is stunning Jan! That AED paper has worked beautifully on this layout. Oh Jem this is incredible.. what a gorgeous photo and, of course, you have scrapped it to perfection. What a superb page, Jem. 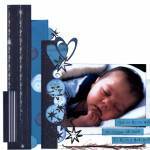 I love the strong colours - they have worked so well for such a gorgeous baby. He's such a gorgeous little man!! LO is gorgeous too. What a beautiful boy he is and so is the layout.